Dawn Wiener lives. If you’ve kept up on the caustic career of Todd Solondz, this information should come as a surprise. The writer-director introduced Dawn, a painfully unpopular 12-year-old (perfectly played by Heather Matarazzo), in his 1995 breakthrough Welcome To The Dollhouse. He then killed her off(screen) in Palindromes, revealing that the unhappy girl became an unhappy woman and took her own life—a bitter pill to swallow, even for those who could see the harsh logic of this arc. But with Wiener-Dog, his new film, Solondz doesn’t just walk back that suicide; he also paints a (marginally) brighter future for his middle-school misfit, casting Greta Gerwig as a (marginally) more adjusted, thirtysomething version of the character. “You look pretty good,” a face from the past tells her with some surprise, and for a perennial punching bag like Dawn Wiener, that backhanded compliment doesn’t sound so backhanded. Coming from Solondz’s poison pen, it almost counts as glowing. Has the man behind Happiness made a movie that could unironically go by that same title? Has he lost his serrated edge, his taste for comedies that cut like tragedies? Don’t count on it. This isn’t quite the Dawn Wiener underdog comeback story—in part because Dawn actually only appears for a small fraction of the film’s runtime. Though prematurely billed as an official Dollhouse sequel, Wiener-Dog has an even more tenuous relationship to its predecessor than Life During Wartime had to Happiness. A four-part anthology vaguely organized around the theme of life as an inexorable march to death, the film is named not just for its resurrected heroine—cruelly assigned that alias by her classmates—but also for an actual dachshund whose changing ownership provides these biting short stories a loose connective tissue. If the idea of Solondz tackling mortality through a canine version of Au Hasard Balthazar sounds dispiriting, at least the abridged nature of each narrative prevents too much piling on. At their best, Solondz’s movies engender sympathy without sentimentality: They dare audiences to feel for the weak, the depraved, the unlikable. Wiener-Dog hits that mark with its last segment, creating a sad transactional reunion between a bitter retiree (Ellen Burstyn) and her burnout granddaughter (Girls’ Zosia Mamet). Both actresses are superb, and the scene builds to a surreal meditation on better lives not lived. But getting to this sharp finale involves sitting through the penultimate chapter, an especially nasty character sketch starring Danny DeVito as a has-been screenwriter imparting hacky fundamentals to students who despise him. Solondz, who teaches classes at the Tisch School Of The Arts, may be exorcising some demons here: The skewering of film-school personalities feels ultra-specific, and it’s not hard to see DeVito, who bears a probably not accidental resemblance to his director, as a proxy—especially once he’s confronted with widespread complaints that he’s too negative. Nonetheless, the entry feels like a lot of Solondz’s worst instincts condensed into a 20-minute package, with an extra layer of film-biz toxicity sprinkled on top. That just leaves the Dollhouse reprise, slotted in second, as if to deemphasize its importance. The segment, which puts Dawn on a road trip with her old tormenter/quasi-boyfriend Brandon McCarthy (Kieran Culkin, taking over for Brendan Sexton III), wouldn’t amount to much if viewed in a vacuum. Beyond that, it’s hard not to wonder how much more powerful this melancholy material would be if Solondz had recast the original actors (à la Before Sunset) instead of giving their roles to new ones (à la his own Life During Wartime). But none of that quite dims the unexpected pleasure of seeing Dawn Wiener grasp a little bit of genuine happiness, no matter how fleeting. 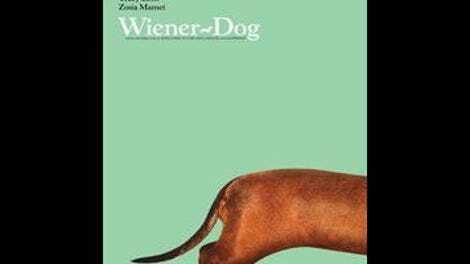 Taken as a whole, Wiener-Dog progresses through an entire lifecycle, shifting to an older main character with each new passage, until senseless death arrives in the form of a particularly bleak punchline. But by allowing a glimmer of contentment to illuminate at least one of these tales—and by reversing the cynicism of an old creative decision, in order to supply a sympathetic outcast a second chance—the film at least implies that some meaning can be found during our one-way descent into nonexistence. That’s about as close to hopeful as a Solondz movie is ever going to get.